Oh warm weather, where have you gone?! 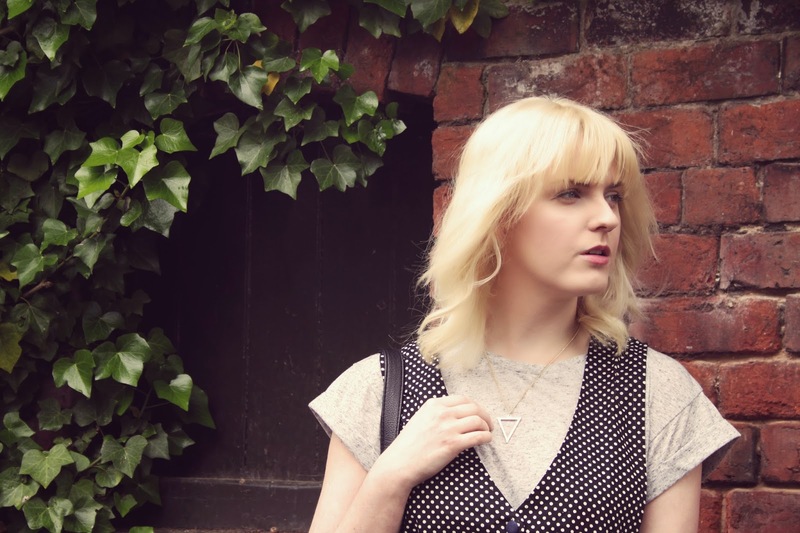 I wore this outfit for all of a couple of hours this morning before having to change in to something more weather appropriate (sad face) as we headed off to the lovely Hoghton Tower for another dose of Crafty Vintage! It was lovely to be on the other side of the stall for once and have some time to look round and relax with some food and drink, but I must admit I wished I had booked a space! If you’ve never been to Hoghton Tower in Lancashire, take a look at this post that I wrote a few weeks back. 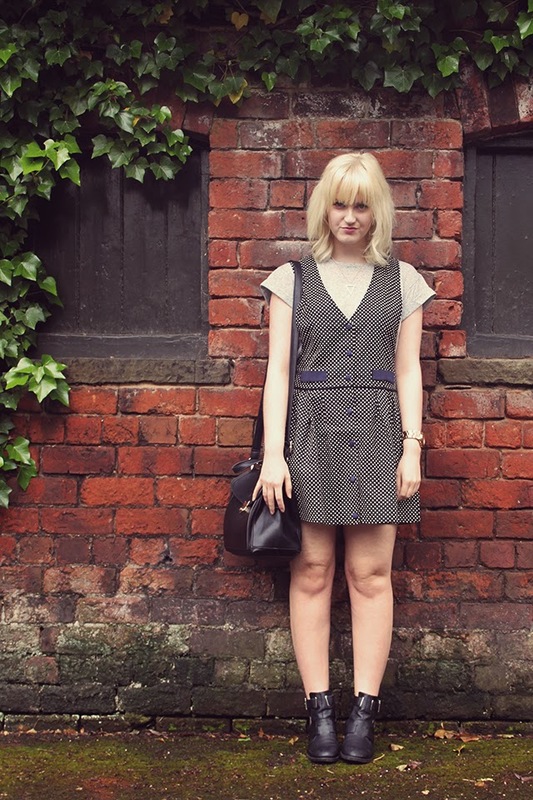 It’s the perfect backdrop for outfit pictures, and was just as perfect for a Vintage fair! 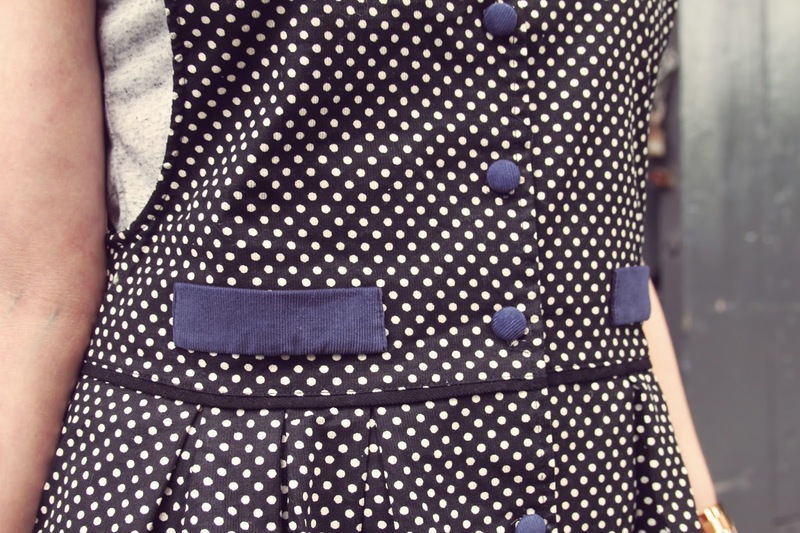 Anyhow, before I changed in to boring old jeans when I saw the rain clouds moving in, I was wearing this adorable polka dot pinafore dress from Lowie, over a simple grey t shirt with my trusty cut out boots. 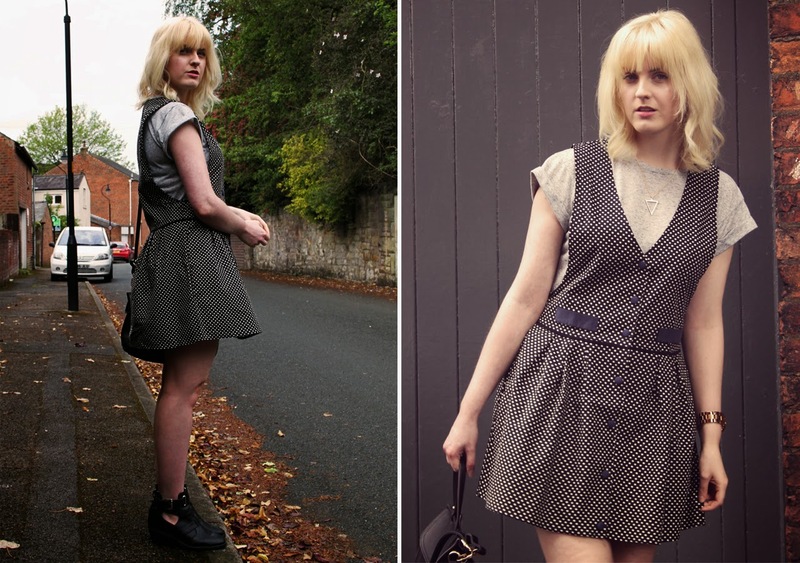 This is the first time I’ve worn a proper pinafore (aside from the dungaree numbers I love and cherish) for a very long time, so I was a little skeptical at first. Needless to say, I love it so much already! I really like the low cut sides and the skater style fit, plus the dress is made from a really light corduroy, so it holds it’s pretty A-line shape really well. Fingers crossed for another dose of sunshine soon so I can wear this beauty again! I’d love to try it with a white collared blouse and brogues for a completely different look, or a bandeau top and gladiator sandals if it’s super sunny! 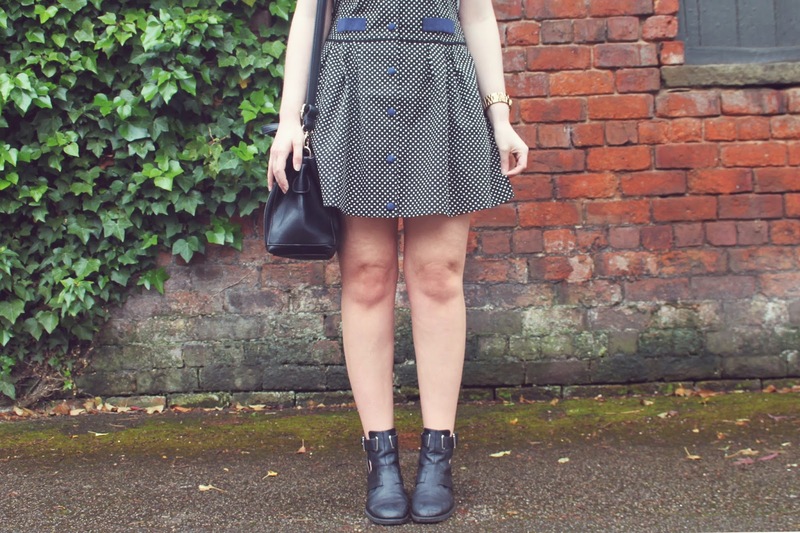 What do you think of the pinafore dress? Will you be sporting one this summer? "HEY, I’VE GOT MY NEW SHOES ON"